Alden and Annette Tombaugh, the children of Clyde Tombaugh, remember their father and his discovery of Pluto. Image credit: John Makely, NBC News. On 14 July, more than 85 years after Professor Tombaugh’s discovery, NASA’s New Horizons spacecraft will become the first mission to fly past Pluto. 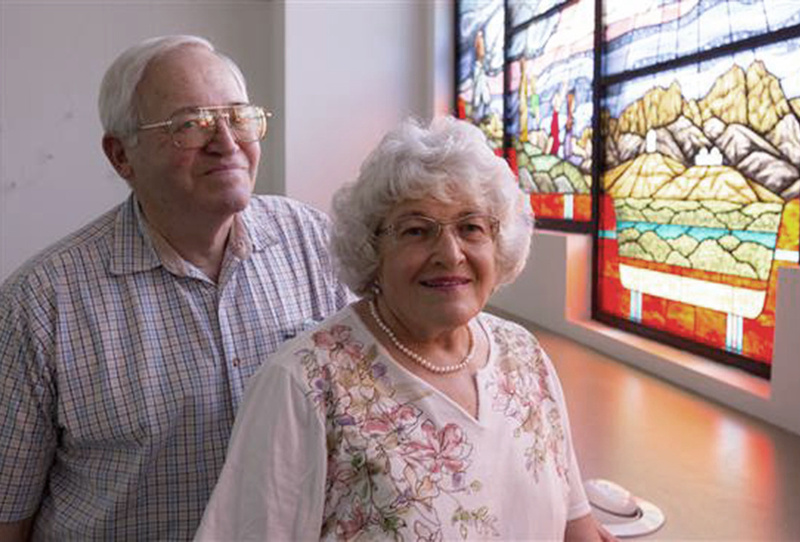 Tombaugh died in 1997, but during the flyby Alden and Annette will be special guests at mission headquarters — the Johns Hopkins University Applied Physics Laboratory in Laurel, Maryland — honouring their father’s scientific legacy. While in his early twenties, Clyde Tombaugh used one of his homemade telescopes to make such detailed drawings of Mars and Jupiter, that Lowell Observatory in Flagstaff, Arizona, asked him to join the staff, even though he did not yet have a college degree. In addition to discovering Pluto while at Lowell Observatory, Tombaugh also found hundreds of asteroids and variable stars — as well as two comets — during the course of his career. On 14 July, Alden and Annette will each have families in tow as they wait in nervous anticipation for New Horizons to radio home, a sign that the flyby was successful. The spacecraft, which will travel deeper into the Kuiper belt reservoir of frozen bodies after flying past Pluto, carries some of Clyde Tombaugh’s ashes. 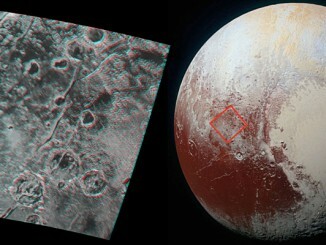 Global stereo mapping of Pluto’s surface is now possible (requires red/blue glasses for viewing in 3-D), as images taken from multiple directions are downlinked from NASA’s New Horizons spacecraft. 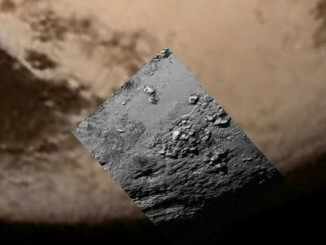 Stereo images will eventually provide an accurate topographic map of most of the hemisphere of Pluto seen by New Horizons, which will be key to understanding the dwarf planet’s geological history. 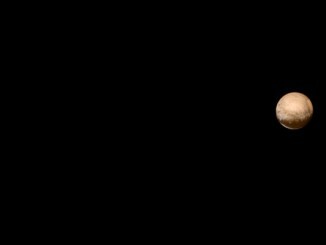 Living up to promises that the view from New Horizons will only get better, the Pluto-bound spacecraft has again bested itself with a dazzling colour view of Pluto and Charon released Thursday.